What makes software a good fit for chiropractors? Choosing chiropractic software will always be a subjective process, dependent on your practice’s unique needs. In order help narrow down the options, we’ve evaluated numerous chiropractic software systems, compared our notes with provider interviews, popular specialist-agnostic systems, and KLAS ratings in order to develop our matching algorithm and highlight some of the best solutions. Beyond features and functionality, one thing that chiropractors (and other specialties) are often worried about is the cost of such programs. 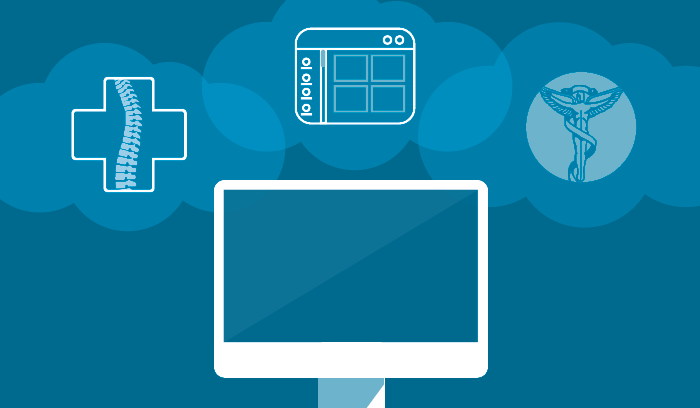 For providers with capital to invest, purchasing software with a one-time licensing fee is usually preferable to a subscription-based service. The best solutions offer multiple payment options, including per-user fees, monthly billing, one-time licensing, and more. 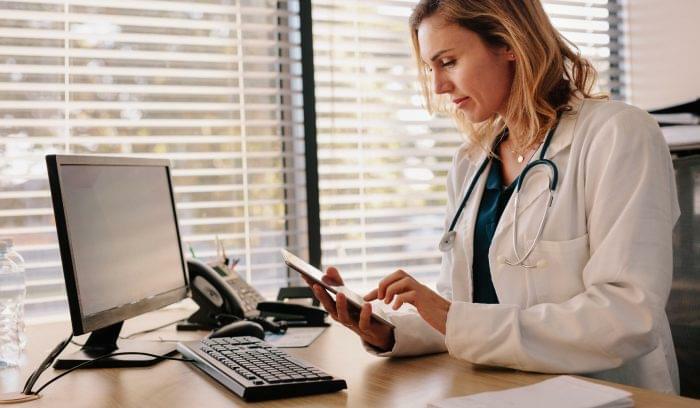 ChiroSuite, which is comprised of ChiroPad EMR and the ChiroOffice practice management system, is an on-premise software solution for medium to large-sized practices. It includes nearly all of the ideal functionality and some rarer features such as integrated credit card processing, handwriting recognition, and secure internal messaging. However, it doesn’t include an online payment portal or vendor-provided billing service, and can only be purchased as on-premise solution. This means practices will need to find extra capital for the initial hardware costs, and budget for future maintenance and upgrades. 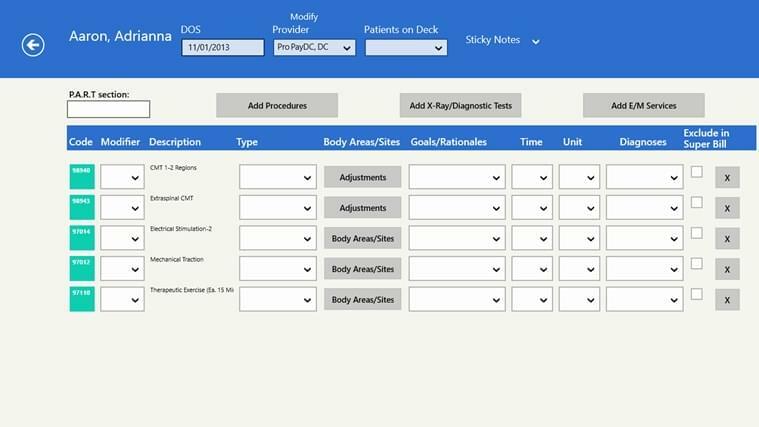 PayDC, as the name would imply, was designed to meet the billing needs of chiropractors. This cloud-delivered software system includes a respectable amount of functionality, an integrated electronic records system, a relatively low monthly per-user cost, and a native mobile application for billing and notes. Cons include a limited patient portal, no on-premise installation option, and no integrated payment processing for self-pay patients with a credit or debit card. ChiroTouch, by Integrated Practice Solutions, is one of the most comprehensive electronic health records and practice management systems designed for chiropractic practices. With a healthy apps and integrations marketplace, users can design a truly custom solution with the ease buying of an off-the-shelf product. 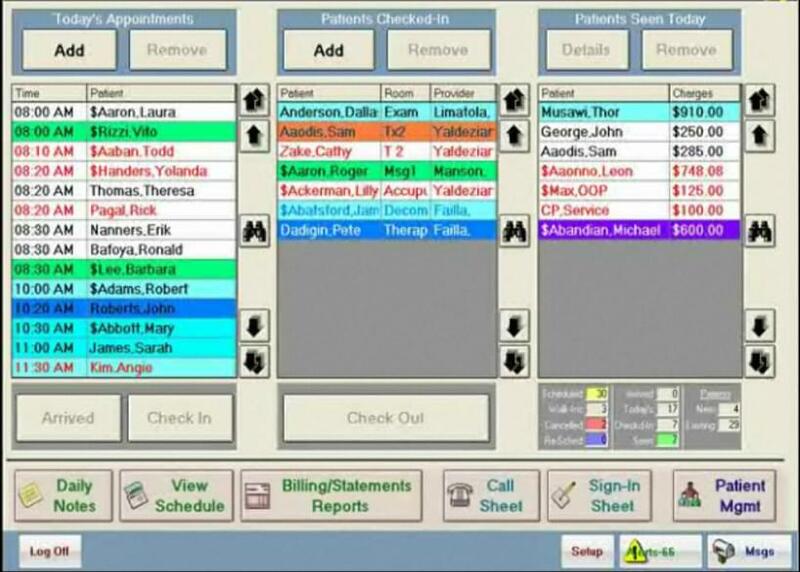 Providers who use third-party billing services can choose from multiple pre-negotiated relationships (through IPS), or link the ChiroTouch platform with almost any billing services’ EDI interface. ChiroTouch’s patient portal is one of the most complete of these four, but it still lacks a payment portal. The modular software design can be a drawback for someone looking to adopt multiple modules. Adding functionality can quickly become expensive, especially when considering the long-term, total cost of ownership for this subscription-based service. BackChart is a highly-rated, cloud-delivered electronic health records and practice management solution, designed for chiropractors . It has a wide variety of customizable templates, role-based access, and a low up-front cost. Like the other chiropractic-specific solutions here, BackChart lacks payment functionality for its online patient portal, and has a somewhat dated user interface. It also lacks a native mobile application for note-taking and order entry. Not a single chiropractic software solution could meet the standards of our admittedly unrealistic ideal solution. Each of these solutions, however, will help chiropractors secure Meaningful Use incentives, and all of these companies have respectable user bases, positive customer reviews, and some longevity in the marketplace — all positive indicators. After you’ve narrowed down the options, it’s always wise to demo each system, and speak with objective consultants, if possible, practices that have previously implemented a solution. 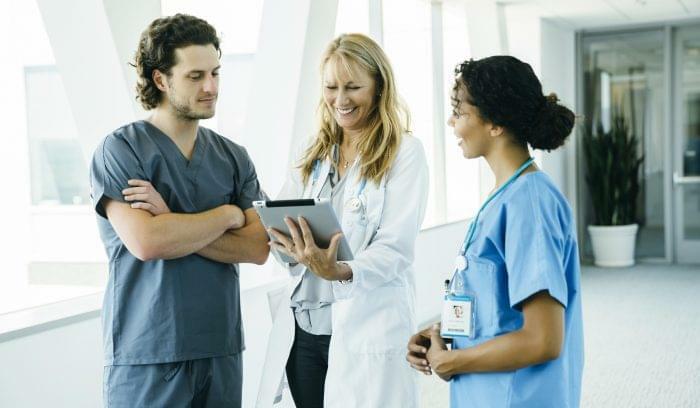 Everyone knows that medical providers rarely agree on anything, but they all agree that buying an EHR or practice management system is a decision that needs to be carefully thought out. 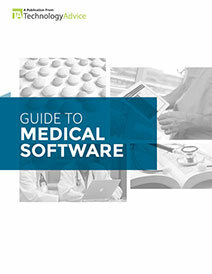 Learn more about the benefits of Medical Software with our market-leading research. 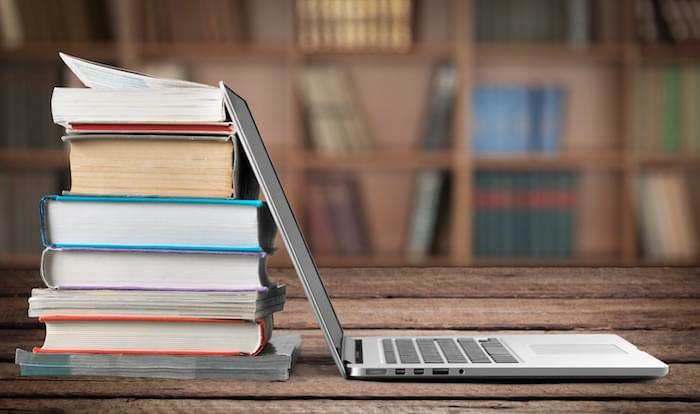 Is LMS Software Worth the Investment?